Everyone detests summers, for with this glorious season, comes prickly heat and itching backs, can you disagree? As hard as you may try, to keep your mind off that itching back is an ordeal indeed. Prickly heat is perhaps one of the most common seasonal afflictions that hits 9 of every 10 persons you meet each day! For people living in the tropics, this is a common problem, especially during the searing heat of summer. There is nothing more irritating than your back itching on contact with the clothes during the hot, sweaty season. Prickly heat is usually manifested as heat rash due to perspiration trapped under the folds of skin. It can cause red, superficial bumps on the skin. If the rash is mild, it disappears on its own. However, if the rash is severe you may need to go to a doctor and seek medical attention. Prickly heat rash is more common among babies because they have plump limbs and body, hence more folds of skin where sweat can be trapped. They usually develop heat rash on the neck and chest, but sometimes these rashes can even be found on the elbows and groin and armpits. Prickly heat is commonly of three types: Miliaria Crystalline, Miliaria Rubra and Miliara Profunda. The first kind, Miliaria Crystalline, is a mild condition that appears when the sweat ducts get clogged in the uppermost layer of the skin. It is found mostly in babies (but sometimes seen in adults too) in the form of small, surface bumps that easily burst. It usually heals by itself, but it may persist if the temperature and humidity conditions remain unfavourable. Miliaria Rubra, on the other hand, is associated more deeply with the skin than the outer layer. It is a far more severe condition that the previous one and may give even adults a lot of grief. In adults who have to take bed rest for day on end in hot and humid climate, this type of heat rash is common. Although the previous condition shows no pain and itching, Miliaria Rubra is characterized by uncomfortable itching and prickly sensation and angry red bumps. Miliaria Profunda, is a rare but recurring condition. The rashes develop immediately after sweat inducing activities and tend to affect the deeper layers of skin tissue. These rashes are not at all red bumps, but lesions that look much like flesh coloured calluses. In this condition, no perspiration takes place; instead, patients may feel dizzy and have increased heart rate or feelings of nausea. If the condition worsens, the chances of infection increase. Swelling, pain and warmth in the affected area are indicative of infection. In extreme cases, there may be pus formation in the rash area with enlarged lymph nodes and spiking fever. Unless the prickly heat rashes subside on their own after a few days, it is important to get medical attention. 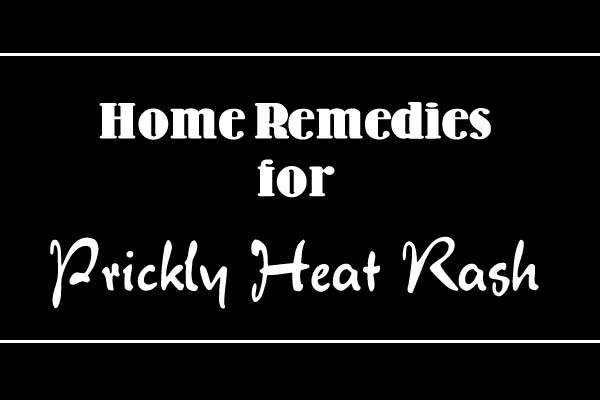 If you do not want prescription drugs for this condition, natural, homemade remedies for prickly heat are as effective as conventional drugs and formulations. For those who want to go au natural on the prickly heat, the following home remedies are listed. Oatmeal bath is the number one remedy in fighting prickly heat. It soothes the stinging sensation and reduces the inflammation of the affected skin. 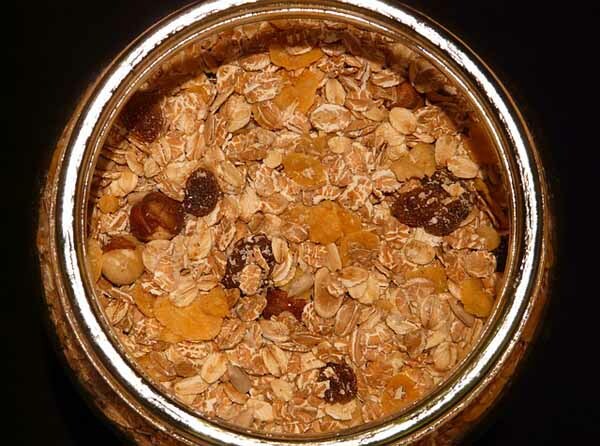 To make an oatmeal bath, draw a bath and add some oatmeal (powder or flakes) into the bath. Sit in the bath for 15 to 20 minutes for soothing your skin. Doing this twice a day, every day until the rashes subside. 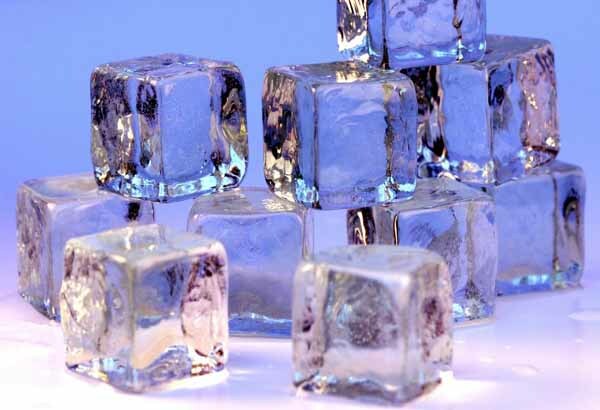 Nothing soothes blistery or rash-affected skin like ice. You can take a small cube of ice and gently rub on the rash to relieve the prickly sensation. If you find holding the ice in your hand difficult, you can also use cold compresses. It is best to dry the skin after rubbing the ice cube and apply some talcum powder designed especially for fighting prickly heat. If your rash is too sore for you to rub an ice cube, try this remedy. In very cold water, dip a sponge or a large strip of cotton. Now put this on the affected area for instant relief from the stinging pain and inflammation. 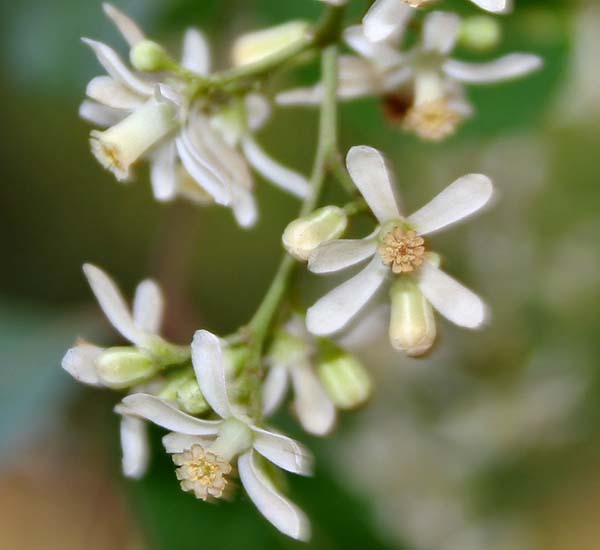 Margosa or neem leaves are known in India for its anti-bacterial, anti-fungal and anti-inflammatory properties. In fact, most soaps and talcum powders that promise relief from prickly heat have margosa in their formulation. You can use it in all its glory instead of this indirect application using soaps. Grab the freshest and greenest leaves you can find and make a rough paste using a little water. Apply this on the rashes and leave to dry. Once dry, gently wash it off. Fuller’s earth or ‘Multani Mitti’ is a known remedy for prickly heat. You make a paste of 4 to 5 tablespoons of fuller’s earth and 2 to 3 tablespoons of rose water and a little water. Apply this paste on the rashes and leave to dry for 2 to 3 hours. Wash the dried paste off with cold water. This is not to be applied, but drunk. 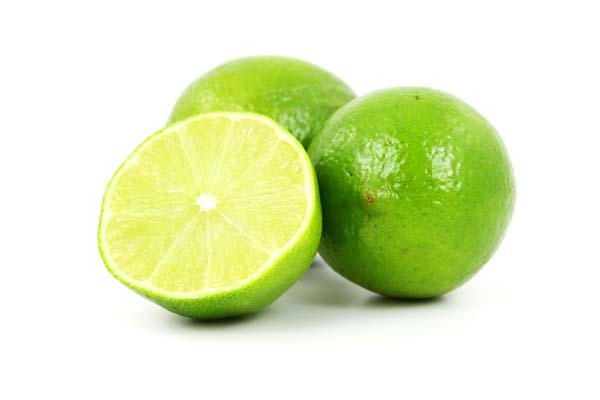 Lime juice boosts your body’s capacity to fight prickly heat. You can make a drink of lime juice with a pinch of sugar, salt and water and drink a glass of it 3 to 4 times a day for maximum benefits. This should be done along with the other remedies and shows effects after a couple of weeks. It has anti-inflammatory properties and gives great relief from prickly heat. Take 2 teaspoon of sandalwood powder and mix it with equal amount of coriander powder. Now add 2 to 3 tablespoons of rose water to make a smooth paste. Apply this on the rashes and leave to dry. You can also make a paste by rubbing a block of sandalwood on a piece of wood with rose water. You can simply make a paste of cornstarch or cornflour with water and apply on the prickly heat affected area. After it dries off in about half an hour, wash with water. You can also use gram flour instead of cornstarch. 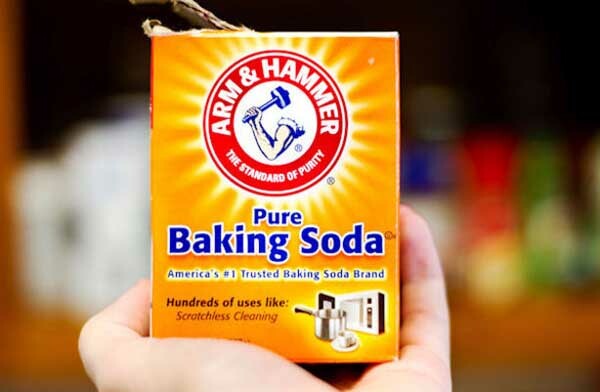 Prepare a solution by adding 1 teaspoon of baking soda to 1 cup of water, which should be very cold. Dip a clean cloth in this solution and squeeze out the excess water. Place this cloth on the rashes to soothe skin. Keep it on as long as the cloth is dry. Do this 4 to 5 times a day. This has to be ingested like the lemon juice. 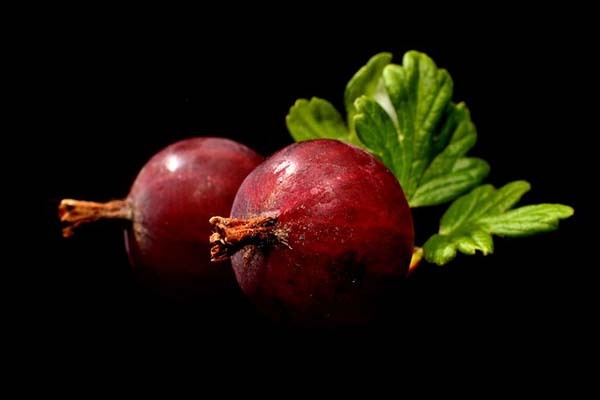 Cut up some pieces of gooseberry and keep them underwater in an earthen pot overnight. The next day you will find that the berries have softened; mash them up and strain the liquid. Add a little sugar or honey because it tastes bitter, and drink. This helps in removing toxins from your system, which reduces the chances of a prickly heat rash breakout. This is a good remedy too. Just make a paste with henna powder with cold water. Applying this on the rashes would cool them off. The henna powder would leave a brownish red mark on the rashes because it is a natural dye, but do not be alarmed by this. This is used the same way as all the other pastes. Grind some dry bark of banyan with a little water and apply on the rashes. Allow it to dry and then wash off. Doing this a few times a day soothes the rashes. 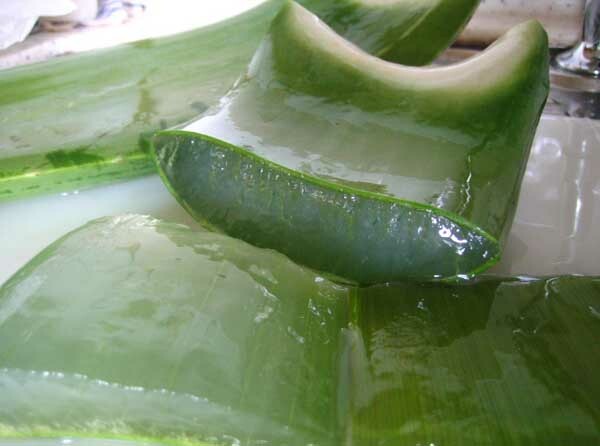 Aloe Vera is a natural remedy for any burn; it relieves prickly heat as well. If you have access to aloe vera plant, get a few succulent leaves. Aloe Vera leaves have thick mucilage inside, which is the jellylike part. Scoop out this material and apply it directly on the rash affected area. If you cannot get your hands on a plant, there are aloe gels available in body shops. Try to get herbal gels instead of the commercial ones because they do not have a lot added chemicals. 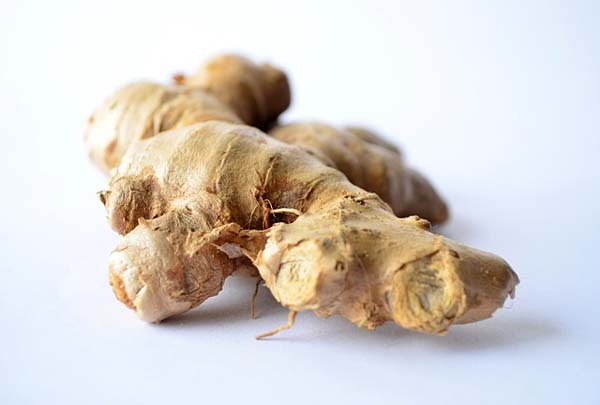 Ginger is full of anti-inflammatory properties. You can grate a thumb or two of ginger and boil it in a large pot of water. Cool this and add some cold water. Bathe with this twice a day for best results. You can also sponge bathe using the cooled, boiled solution. What you eat during the hot and humid season is also crucial in determining whether you will suffer from a bout of prickly heat or not. You should have plenty of water and fruits during the summer. In the tropics, this season is characterized by delicious, watery fruits like watermelons, mangoes and melons which are beneficial for preventing and curing prickly heat. Drink buttermilk and tender coconut water to keep your body hydrated. Taking herbal teas twice a day will help cleansing the liver, which removes toxins responsible for prickly heat. Also have yoghurt at least once a day because it cools the body and also gives your body a rich of probiotic bacteria. Babies are affected severely by prickly heat because their sweat ducts are not fully functional and developed yet, which causes sweat to get trapped under the skin. Even if you do not live in a particularly hot climate, if the baby is wrapped too tightly in the blanket, heat rashes may erupt. For similar reasons, heat rashes are found in newborn babies in the incubators as well. That is why, babies’ blankets should have breathing room and their skins should be tried to be kept cool and dry. Sometimes using too many protective layers of clothing in relatively cold weather is responsible for prickly heat. Make sure you are not sweating underneath your clothes. If you are, take a layer off. Some clothing materials do not allow evaporation from the skin to take place and trap heat within. These limiting fibres may often become the reason behind a heat rash breakout. Try to wear light, cotton clothes, especially in the hot and humid weather. In summer, do not wear too many layers. Children should be dressed in comfortable and light clothes too. During the hot and humid season, it is best not to do extensive and prolonged physical workouts. Excessive sweat, heat trapping Lycra clothes (assuming you wear one of these during your workout sessions) and friction in folds of skin- these make for the perfect breeding conditions for prickly heat. It is best to avoid oil based cosmetics when it is hot and humid outside. These increases sebum secretion from the face which can lead to rash breakout. Some medicines of ADHD, hypertension and acne have been associated with heat rash. Before taking these medicines, check with your doctor. If prickly heat persists when you are taking these medicines, ask your physician to prescribe another drug. Your bedroom should be airy and cool because we tend to sleep on one side for a long time, which means we sweat on one side more. If the room is hot and stuffy, you are most likely to get heat rashes. In hot weather, try not to use creams because they clog pores and if sweat is trapped under the skin, prickly heat rashes will erupt. In summer, always bathe in cold water and do not harsh soaps. Sensitive skins are more prone to all sorts of rashes and prickly heat is no exception. There are a lot of herbal soaps and cleansers available in body shops, try to use these instead of regular soap. Most importantly, do not scratch the rashes. You are most likely to have superficial rashes, but by scratching you will introduce the germs to the inner layers of skin and increase the chances of infection. These are some of the home remedies you can try, but as always, prevention is the best cure. Try to follow the tips to avoid prickly heat because no matter how effective the cure is, even an hour with itchy or painful rash on your back or armpit or groin is torture. These preventive measures can significantly reduce the chances of getting a severe case of prickly heat. So stay cool and enjoy the summer.